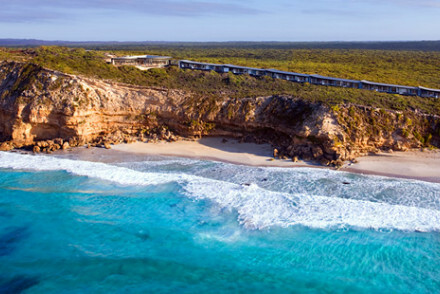 Kangaroo Island is not your average holiday island, it’s designed with the wildlife and natural environment in mind. ‘Observation not interaction’ is what you’ll hear here. And there aren’t just kangaroos and wallabies, there are also echidnas, dolphins and seals, and birds of all kinds, and they come first. But of course that just makes the visitor experience even better. And the best places to stay in Kangaroo Island offer peace and quiet, as well as the opportunity to see some of Australia’s natural beauty. There are a limited number of bedrooms in the best places to stay on Kangaroo Island, and, as well as protecting the environment, this also means that this still feels like a rural community. Most visitors to Kangaroo Island arrive by ferry into Penneshaw on the Dudley Peninsula, which is the most touristy spot on the island, what with the pub and the hostels. Kingscote is the laid-back hub of the island, a postcard-perfect town with a couple of pubs and decent eateries and plenty of Norfolk Island pines. If you’re here for the beaches then head to the north coast where the waters are calmer. But if you’re here to see the island’s true treasures then head west into the Flinders Chase National Park, Rocky River or the Seal Park Observation Park. You might not expect it, but Kangaroo Island has an amazing farmer’s market - this is a largely rural, farming community - plus several wineries, dairies, honey farms and even a eucalyptus distillery. So you’re certainly in for a treat as far as the food is concerned. But don't forget that this is a popular destination. So if you want to be sure of a room in one of the best places to stay in Kangaroo Island, do yourself a favour and plan ahead! Lifetime Private Retreats are four luxurious private villas, right by Snelling’s Beach. There are ensuite rooms, dining areas, fully equipped kitchens and outdoor terraces. In a stunning location atop cliffs on Kangaroo Island’s south coast, the Southern Ocean Lodge has 21 beautiful rooms with floor to ceiling glass and superb views. Some of the rooms even have private plunge pools. But all of them offer the perfect combination of rugged wilderness and sumptuous creature comforts. If you'd prefer a self-catering option this holiday - don't hesitate to visit our online partner, Booking.com for a great selection of properties on the stunning coastline. Fly to Kingscote Airport located 14km (8.6 miles) from Kingscote - Kangaroo Island's largest town with flights to Adelaide and seasonal connections to Melbourne. Alternatively, catch a ferry to Kangaroo Island with ferry links from Cape Jervis on the mainland. If you want to rent a car to explore this fascinating island - click here for prices and booking with our online partner, Rental Cars. Best time to visit - the summer from December to February for typically warm temperatures and dry weather. 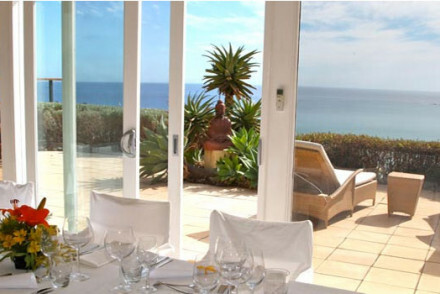 Still not sure which is the best place to stay on Kangaroo Island for you?